Bring an umbrella...and a baseball bat. Reviewing a sequel can be hard sometimes because you aren't exactly sure which audience you should be talking to. Usually you have to divide the audience into two groups - those that played the original and those that haven't touched the series before. Like any good writer your job is to address both audiences without boring either - you want just enough information to satisfy both while getting your point across. We started our original review of Dead Island with the conclusion - "go buy it." But Dead Island: Riptide isn't so cut and dry. Riptide takes place immediately following the events of the first game, with our four survivors escaping the zombie outbreak of Banoi in a helicopter. They find their way onto a military ship, but are soon placed in holding cells, and this is where the game begins. Since our survivors are immune to the zombie contagion, it's obvious that whatever governments are involved in this would want to poke and prod and experiment on them. Soon you'll wake up as whatever character you chose and realize all hell has, once again, broken loose. 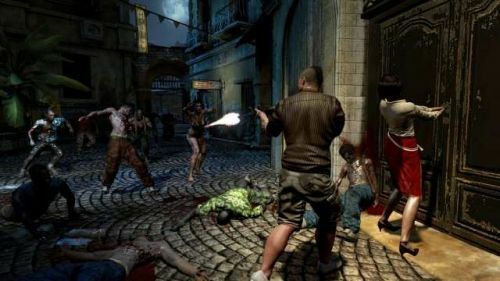 Dead Island: Riptide continues the use of a mixed level system that allows players of any level to play with each other. I think it's because of this feature that Techland was able to allow players to import their previous character into Riptide. I had no problem starting the game with a level 39 Sam B - this includes all previous abilities unlocked. Sam B, Logan Carter, Xian Mei, and Purna all return as well as a 5th playable character, John. John is all about hand to hand combat - he even sports some Wolverine style claws, while Sam B is your blunt weapons guy. Logan is good at throwing grenades and knives while Xian is about blades and Purna is about guns. Once again what sets Dead Island: Riptide apart from the other zombie games is the focus on melee combat. While firearms, grenades, and other military style weapons do exist - they are rare and the bulk of the combat will be in close quarters. For the most part the melee combat can be incredibly satisfying - with zombies taking area specific damage. Tired of an Thug swinging his arms at you? Cut them off. That zombie running too fast? Break his legs. The thud and crunch of this combat definitely adds to it and it seems the physics system has been tweaked making zombies easier to knock down thanks to their momentum. Killing these zombies with melee weapons you find, create, and upgrade is definitely the highlight. Classic mods like electric and poison return, adding buffs to your giant wrenches, baseball bats, and anything else. Mods still require finding a blueprint to create and you'll still need to find components which are randomly scattered throughout the luggage and cases conveniently scattered throughout the island. I don't know what these zombies had in mind in their former lives, but I do know they traveled with a ton of cash and duct tape.